In July, I was thrilled and honored to join the team at LENSCRATCH as their new Director of Marketing! Aline Smithson, Founder of Lenscratch and incredible photographer, wrote a lovely introduction about me, my work, and what I do for Lenscratch. I hope you'll read the full feature here. LENSCRATCH, Fine Art Photography Daily, is considered one of the 10 Photography-Related blogs you should be reading by Source Review, Wired.com, Rangefinder, and InStyle Magazine. "Wooden Dresser" was featured as the Photo of the Day! View the archive at Don't Take Pictures Magazine here. I am thrilled and honored to share that two of my prints from Everything Is Fine Here were collected by the CU Art Museum and are on currently view in a new show curated by Hope Saska, Curator of Collections & Exhibitions. The exhibition features work from Robert Adams, Imogen Cunningham, Stephen Shore, Carrie Mae Weems, among many others. I'm absolutely speechless to be among such an incredible group of artists and trailblazers. Hi! Here are 3 things from me. 1. In November, I was honored to attended the Center Review Santa Fe Photo Festival as one of the 100 selected photographers. I was delighted to meet many new members of the photographic community and enjoyed sharing my work Everything Is Fine Here. 2. If you're looking for a gift for someone, my new imprint Big Bad Bettie Press is out with its first portable exhibition called Rabbit Rabbit and it's on sale for the holidays here. 3. I hope you are doing very well and please let me know what you are doing. Thank you always for your support. Happy Everything to you and yours and ours and theirs. I wanted to share with you some exciting new things happening in my little corner of the world. Please check them out below. And if you happen to be traveling through Colorado soon, I hope you'll stop in at my studio and say hello! 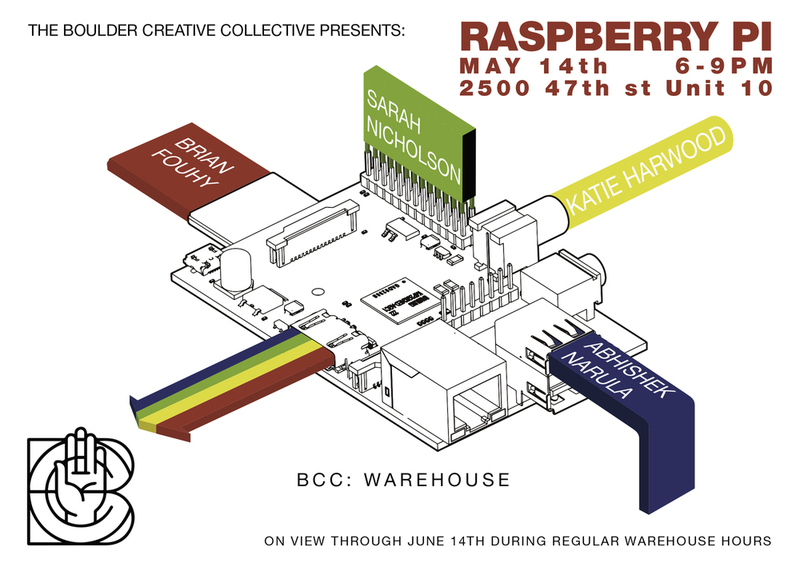 I currently have work on view in a new show with the Boulder Creative Collective. It's on view until June 14th and I will be talking about my work May 26th. I am honored to be included in this show and the fact that it's in the town where I live is very exciting. 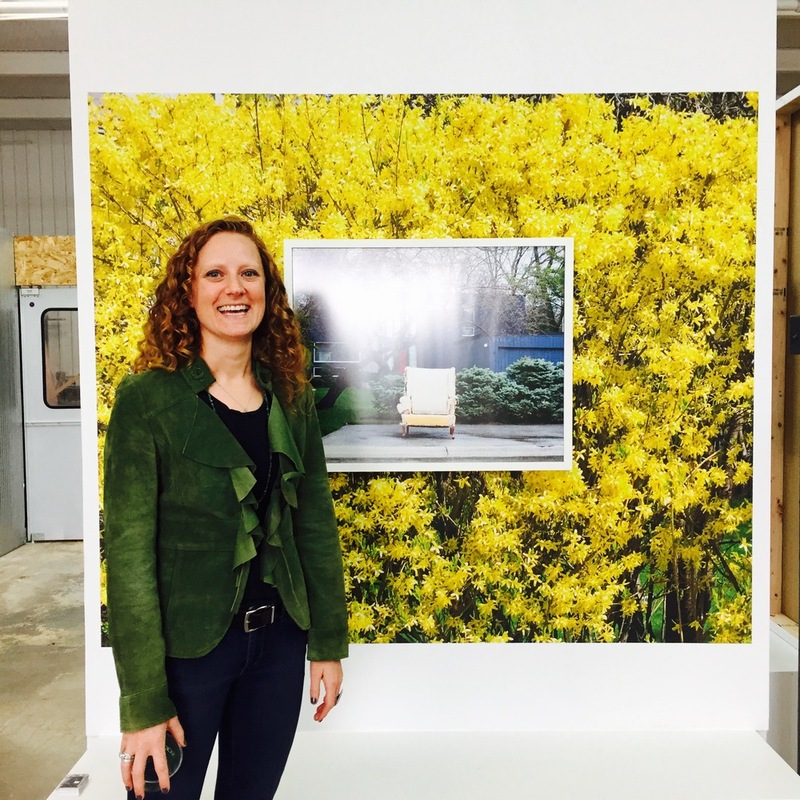 Many thanks Gary Reed at Reed Art & Imaging for printing that amazing wallpaper! For this show, I had the opportunity to explore new ideas and work surrounding this series and I am thrilled with the results. See more install photos on my website. I continue to work on my series Everything's Fine Here and a few weeks ago I returned to Winnetka for my forth year of photographing the annual trash week event. It was epic! Photographically speaking, that is. More of this new work will appear on my website soon. And I hope to have the opportunity to see many of you in person in the coming months and share my new portfolio. Last year, along with a few other talents folks, I started a company called Big Bad Bettie Press (inspired by my badass grandmother). Just a few weeks ago, we launched our first book called Rabbit Rabbit. BBB Press is an independent publisher marching to the beat of its own drum. We make books, art objects, and promote ideas that are bold, brassy, and creative. Rabbit Rabbit is one of those ideas. Rabbit Rabbit is an annual curated journal of artists and innovators. RR01 explores the theme of transition and brings together an impressive line up of 21 recent graduates with masters and PhDs in the fields of art, psychology, writing, philosophy, and beyond all responding to the theme of transition. It's pretty amazing and I hope you'll check it out. Pre-order discounts are on now. If you are not already on the BBB Press mailing list, I hope you'll sign up. The 4th International SPE Combined Caucus Juried Exhibition will be presented at the Red Rock Resort's Cherry Nightclub for a one-night only slide show event in conjunction with the 2016 SPE National Conference, 'Constructed Realties.' A catalogue will accompany the exhibition, and be available for purchase online. Opening remarks from Aline Smithson will take place 8:15pm. A second Combined Caucus Exhibition will be on view at Living Arts in Tulsa, OK from September 2-29, 2016. Juror Aline Smithson is a photographic artist, educator, and the founder and Editor-in-Chief of Lenscratch. She has curated and juried exhibitions for a number of galleries, organizations, and on-line magazines. In addition, she is a reviewer and workshop instructor at many photo festivals across the United States. She has been an instructor at the Los Angeles Center of Photography since 2001. In 2014, Smithson received the Excellence in Teaching Award by CENTER and her work was selected for the Critical Mass Top 50 Portfolios, Review Santa Fe and the PDN Photo Annual. In 2012, she was recognized with the Rising Star Award through the Griffin Museum of Photography for her contributions to the photographic community. Aline says that her approach was, "to find strong images and then create a new narrative in their connectedness. Single images became untethered from their original intention and ultimately were simply stand alone photographs." I am excited to announce that I am launching a publishing company called Big Bad Bettie Press! With a love for the printed form and the tangible object, we will make artist books, zines, publications, and special edition objects. BBB Press is inspired by my grandmother, Big Bad Bettie. Yes, that is what they called her. She was bold, brassy, and creative. A badass chick in her day. She was a bit kooky at times and a bit of a drunk at times. (It was the 60’s.) But she was a leader and marched to the beat of her own drum. This is what we aim to do with BBB Press. This year has been filled with incredible highs - graduation, awards, exhibitions - and also several lows - anyone notice the job market for MFA's is terrible? (-; Since graduating, my brain has swirled with questions like: What in the world do I do next?, How do I keep a dialogue going with my community?, and How do I continue my work and research while keeping a roof over my head? I reached out to talented colleagues and fellow artists: Liz Smith, Cait Molloy, Stephanie A Lindsey, and Stacy Bebie-Laiderman. At the core, the driving force behind this adventure, is a passion for the belief that artists and creatives should be apart of the batter not just the icing. Transforming fear into courage and marching to the beat of our own drum Big Bad Bettie Press was born. We're not sure how this will all work out yet, but we're going for it! As Big Bad Bettie herself always said, "Let's run it up the flag pole and see who salutes." Our first venture is Rabbit Rabbit, a limited edition arts & culture publication that acts like a portable exhibition. Each issue will bring together artists, non-artists, and thought leaders to comment on a theme. The title comes from a funny family superstition of saying "rabbit rabbit" on the first day of each month for good luck. As many of our BBB Press team are recent grads, our first issue will explore the theme of transition and be full of art and writings from recent graduates with masters and PhD's in a variety of fields. Sign up for our newsletter and be one of the first to purchase a copy! We need your help to spread the word. Please share this with your friends and networks. We will need all the support we can get as we charge into the big bad world of publishing. On ward! Visiting Artist at MAKE Studio Steamboat! This June, I was delighted to be a Visiting Artist at MAKE Studio Steamboat. This fun and active space is run by talented artist Christie Ginanni Stepan. 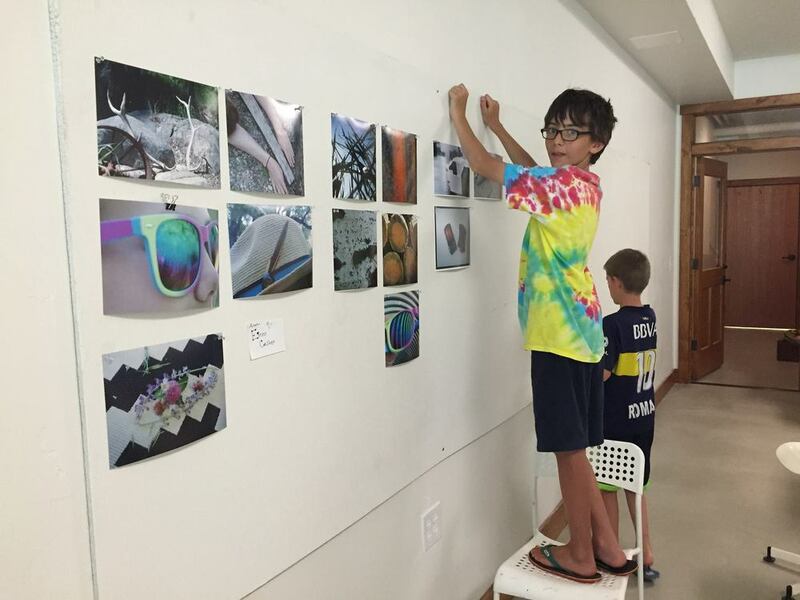 We had a blast teaching kids about photography in a variety of contemporary contexts. We made cyanotypes, portraits in the landscape, and still life images. We turned the whole classroom into a Camera Obscura! And the students put together an art show at the end of the week complete with artist statements. If you're in Steamboat Springs, CO or want to go, be sure to check out this great space. I can't wait to return! June 22nd, 2015 - American Photography Magazine named CAPTURED 2015 at Newspace Center for Photography one of The 10 Best New Photography Exhibits of Summer 2015. I am so excited to get my work to Portland, OR at Newspace and be included in CAPTURED 2015. 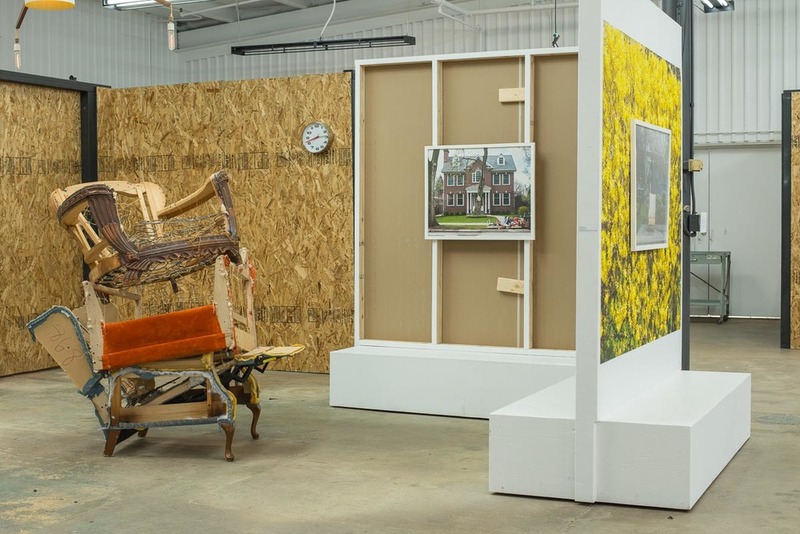 The summer exhibition is curated by Newspace Curator Yaelle Amir and includes a diverse and talented crop of regional and national photographers. The exhibition is on view June 5 - August 1 with an opening reception Friday June 5th, 6-9p. If you're in Portland this summer, I hope you'll stop by and see the show! About the exhibition: The photographers participating in Newspace’s summer group exhibition, CAPTURED 2015, address a diverse range of subjects, yet share a common goal to observe and capture human tendencies. From these eight distinct expressions, viewers are able to learn about the different ways we all navigate through and participate in contemporary society. Edge Effect marked the culmination of my graduate school experience and what an amazing show it was! San Francisco Art Institutes' MFA Vernissage Exhibition opened May 13th, 2015 with Gala Vernissage and marched on through the weekend with the show opening to the public May 15th. The show was held at Fort Mason Center and was an incredible sight to see. It was very exciting and rewarding to be apart of this event with so many talented artists graduating from SFAI this year. And I was honored that so may of my friends and family where able to join in the celebration. The exhibition received some local press that you can read about in Examiner.com (which gave me and several of my colleagues a shout out) and also in Juxtapoz Magazine about the Gala and the exhibition. I am very excited to be included in this years MFA NOW 2015 show at Root Division in San Francisco! On view during this exhibition will be one of my prints from my new work, "Yellow Chair, 2014"
Group show at The Dairy Center for the Arts! Some of my work will be exhibited in a group photography show reflecting on the 2013 flood. Curated by Mark Sink, the exhibition includes work from photographers living along the Front Range. I am honored to be included. Opening reception and Artist Talks from 4p-5p, followed by a reception from 5p-6:30p on Wednesday September 10th. Visit The Dairy Center for the Arts website to learn more about the show. Seven photographers who live and work along the Front Range will be featured in FLOOD, an exhibition of photography curated by Mark Sink that captures the elemental power of the 2013 flood in Boulder. This exhibit opens Wednesday, September 10 at the Dairy Center for the Arts in Boulder and will be open to the public through Friday, October 10. Both exhibits open with Artist Talks from 4:00pm to 5:00pm, followed by a reception from 5:00pm to 6:30pm. Both the exhibits and the opening event are free to the public. Initially called a hundred-year flood, it has since been described as a thousand-year-flood due to its duration and vast proportions. The exhibition reflects the dialectic contradictions of such a life-changing event: destruction and regeneration, loss and restoration; catastrophe and beauty. These are the forces witnessed and articulated by the featured photographers, James Balog, Andrew Beckham, Chris Brown, Charles Forsman, Katie Harwood, Kevin O’Connell, and Richard Van Pelt. “Collectively, these photographers examine the reality of a transformed landscape in all of its complexities, from intimate details to sweeping panoramas, giving rise to responses that all, in the end, reflect a deep and abiding concern for the landscape of home."